A Nigerian politician has been arrested on suspicion of smuggling cocaine at Lagos airport. Nigerian drug enforcement officials say Eme Zuru Ayortor swallowed nearly two kilograms of cocaine (4.4 lbs) in order to fund his election campaign. Police say body scanners revealed the contents of his stomach as he attempted to board a flight to Frankfurt. Mr Ayortor, 52, is running in the Edo state House of Assembly election but it is not clear for which party. Officers from Nigeria’s drug law enforcement agency say they recovered 100 parcels of cocaine from the politician’s stomach at Lagos’ Murtala Mohammed International Airport. It is understood that Mr Ayortor told officers he needed the money – because his last election campaign, in 2007, bankrupted him. He was arrested two weeks ago – police are now at the end of their investigation. They believe Mr Ayortor is part of a wider network. Mr Ayortor, a qualified pharmacist, studied at the University of Wisconsin in the US. The BBC’s Caroline Duffield in Lagos says politicians in Nigeria raise large amounts of money at election time – much of it goes on bribing election officials and paying gangs of young men to intimidate voters. Last month, customs officers at the same airport seized a consignment of military uniforms which they linked to politicians preparing for elections next year. Nigeria is a major transit route for drugs – from South America and Asia – to the US and Europe. More than 300 tonnes of narcotics were seized in the country last year. Drugs law enforcement officers in Lagos have only four police sniffer dogs to monitor the airports, land borders and a massive seaport. They privately complain they need many more sniffer dogs to do their work properly. PAPARAZZI – BREAKING NEWS: APC merges with new PDP. Chinweike Onah, a 33-year-old man was on Monday arraigned before an FCT Senior Magistrates’ Court, Karu,for allegedly purchasing a stolen 32-inch plasma television set at N7,500. Onah who was arraigned on a one-count charge of receiving stolen property, pleaded not guilty claiming he didn’t know the television was stolen. 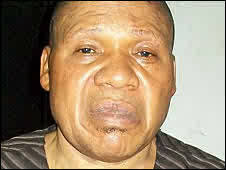 According to police prosecutor, Cpl Emmanuel Nnamani, Onah bought the set from one, Elijah Onu at the cost of N7,500. 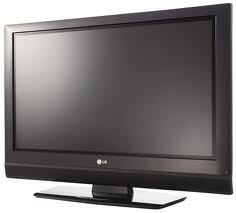 The prosecutor insisted that Onah should have known the that the television was a stolen because its market price is N156,000. Rift Valley, Kenya: A teacher in Nakuru County has given his estranged wife — with whom they differed over his ex-girlfriend’s attempt to be a second wife — a December 31, ultimatum to return home or else he remarries. The teacher, who works at a private secondary school in Bahati, had been at loggerheads with his wife over infidelity allegations. He resorted to issuing her with threats after reconciliation efforts hit a snag. This was a fortnight ago after the two scandalised each other before they parted ways in a free-for-all drama incident that attracted the attention of local residents. Second wife It all began when the teacher’s former girlfriend began making inroads to his heart. The ex-had briefly been married to a Tanzanian man before her marriage failed, forcing her to relocate back to Kenya. She tried to have the teacher make her his second wife, but the teacher’s wife would hear none of it. Immediately the teacher’s wife got wind of her intentions, she put her on notice and declared her persona non grata at the teacher’s home. But this didn’t dissuade the former lovebirds from rekindling their old flame and meeting privately. Revelations that the two had continued with their hanky panky angered the teacher’s wife leading to a separation. The teacher’s wife paid her husband’s parents an impromptu visit and reported his wayward ways. She made wild allegations and backed them up by tabling incriminating evidence, which included the teacher’s sexual impropriety with his house help who she had to fire to save their marriage. However, she was astounded when her in-laws stood by their son who was absent to defend himself. They counselled her to instead, give him time to change. The displeased wife stormed back to their house the next evening and began packing her possessions. It wasn’t without drama. The couple began tussling over some household items — jointly owned — with both claiming ownership. In the process, some fragile items were smashed to bits. After the incident, the teacher accompanied by his parents visited his in-laws in an attempt to reconcile the two. Problems arose during negotiations in which the teacher emerged as a villain with no peace deal reached. Some of demands put to him, as part of reconciliation, was his immediate ceasing from associating with womenfolk be it work mates out of working place. Rage This didn’t please the teacher who stormed out in a fit of rage. He denied allegations leveled against him. He instead, cited jealousy as the reason behind his wife’s demands. He gave her until the end of this year to voluntarily return to him with no demands on her part. Failure to which he’d be free to remarry whomever he wishes. PAPARAZZI – Islam Banned in Angola; All Mosques To Be Destroyed.